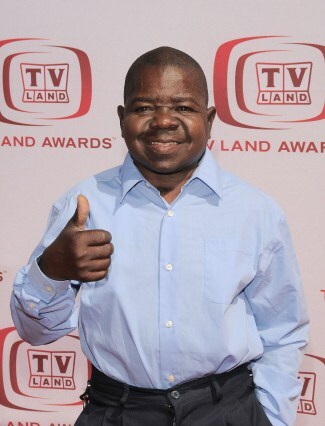 The late ‘Diff’rent Strokes’actor will not be given a religious burial ceremony but will be cremated instead, as soon as his ex-girlfriend Anna Gray – who was named the main beneficiary of his estate in his 2005 will – is able to travel to his home in Utah. This news has upset Gary’s ex-wife Shannon Price – who the actor lived with at the time of his passing – because she was named the sole heir in a 2007 handwritten add-on to the will. However, Anna’s legal team expects this additional note to be invalidated because Shannon was divorced from Gary at the time of his death from a brain haemorrhage. Robert Jeffs has been appointed by a judge to oversee the estate dispute, and has also been ordered to organise the cremation as soon as possible. Meanwhile, Shannon’s spokesperson has revealed the 24-year-old redhead still plans to celebrate Gary’s life with a memorial service, and is desperate to visit his body before he is cremated. Shielia Erickson told E! News: "We would love to have a private funeral for family and friends. Shannon has been in bed all day. This is just too much for her. She did not see Gary today. She has been mourning him, though. "She said to me, ‘Remember when Gary said to you, that he never wanted to be without me, I want to be with him after this life. I always want to be with him. I will never love again!’ She is such a kind person, that loves her Gary Coleman. They may have had issues at times. But they really did love each other. Shannon has previously admitted she wants to scatter the late star’s ashes on train tracks, but a decision on this will not be made until the wills are clarified.